Photo by Michael Ansell/ABC ©2016 American Broadcasting Companies, Inc. All rights reserved. “I suppose that I have learned to do things badly, well. “In a sitcom, the sofa is the center of the Universe. Photo © American Broadcasting Companies, Inc. All rights reserved. 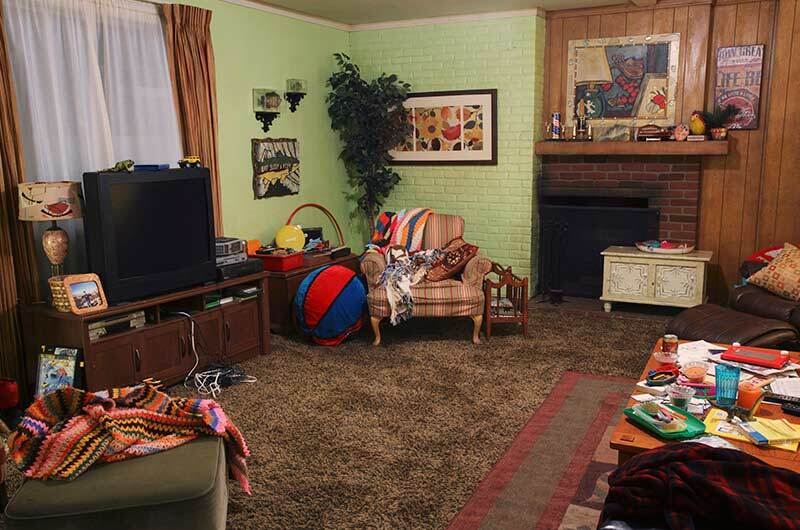 “This photo is from the first year and has furniture, a lamp and pillows that were replaced as the series unfolded. ‘Eat Sleep Fish’ is hanging under the sconces holding fish in boxes. The colors throughout the house are extremely bold. 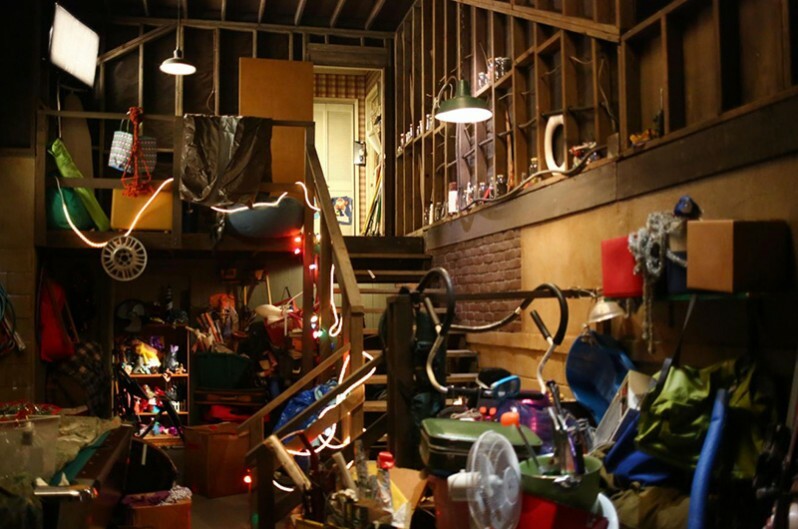 “The Heck house is a mess. This is another cleaned-up-for-pictures version! There were always stacks of bills and piles of laundry and forgotten pieces of the kids’ artwork and other things stuck among the shelves. Even with the chaos, though, the room is a friendly place. 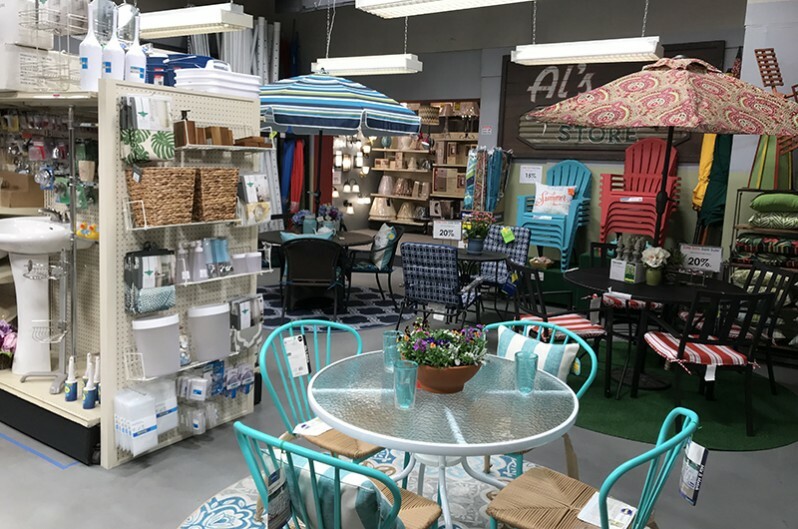 “But whatever season, the table is always topped with a puzzle in progress, a pile of bills, junk mail and probably some laundry. 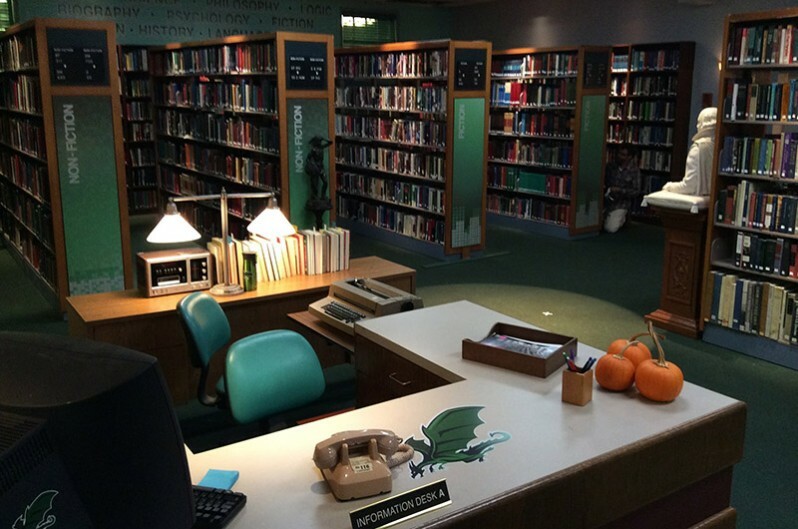 Later, we see changes in art and side pieces, and this table was damaged in an episode. 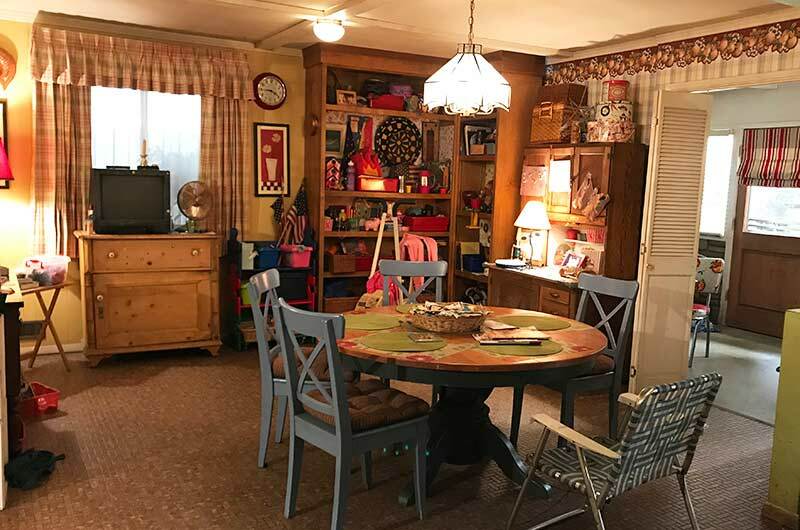 So, in the storyline, after the death of Aunt Edie, her dining table moved to the Heck house and the former table went to Axl’s college apartment. “Years later, the carpet is stained. 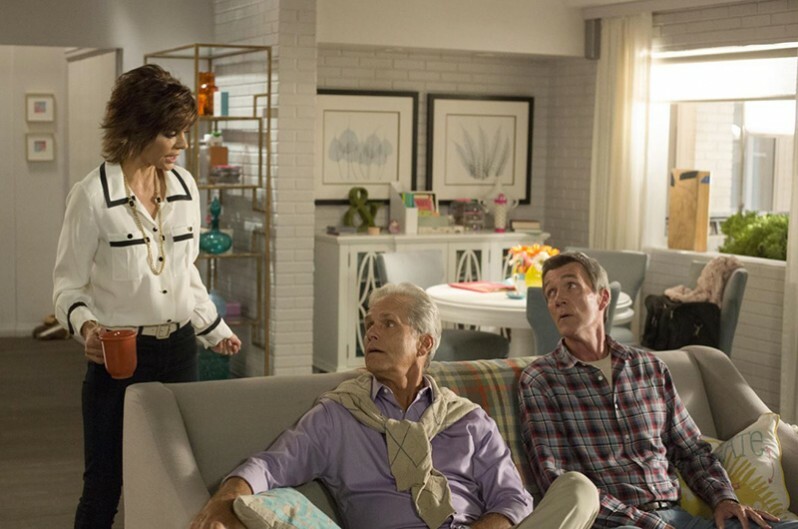 The striped wallpaper (from Astek Wallcovering) was ripped down in an episode in which Frankie unwisely decided to redecorate for visiting Marines then hurriedly repasted it and hung artwork—the framed poppy print was from the bathroom—to try to cover cracks. Unusual items are stored here, like a small barbecue. “Family is the big theme of our show. 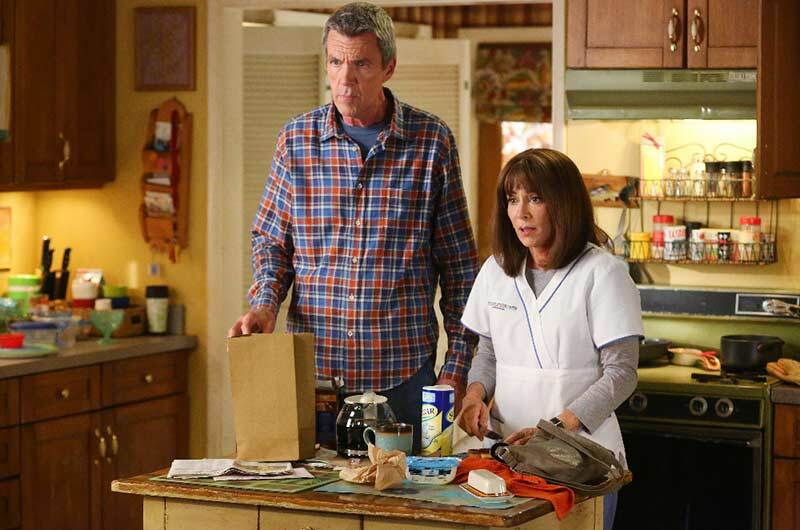 Eden Sher, Patricia Heaton, Neil Flynn. 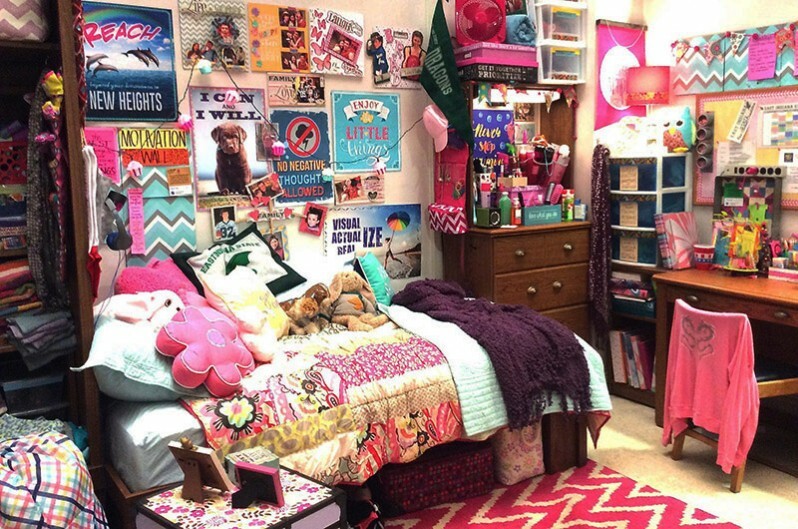 “Even though at this point, Sue lives at college, she is often home on weekends and holidays. “The room has changed over time. This is another early days photo, when Brick slept in an Ikea child’s bed...until he tricked Axl out of his queen bed. He still uses the child’s comforter, though. Brick tries to get his big sister, who is home from college, to see his point. It’s about the elephant in the room...or the hole in the wall! There is some ‘splainin’ to do! Photo by Michael Ansell/ABC © American Broadcasting Companies, Inc. All rights reserved. “Sue is everyone’s favorite character. 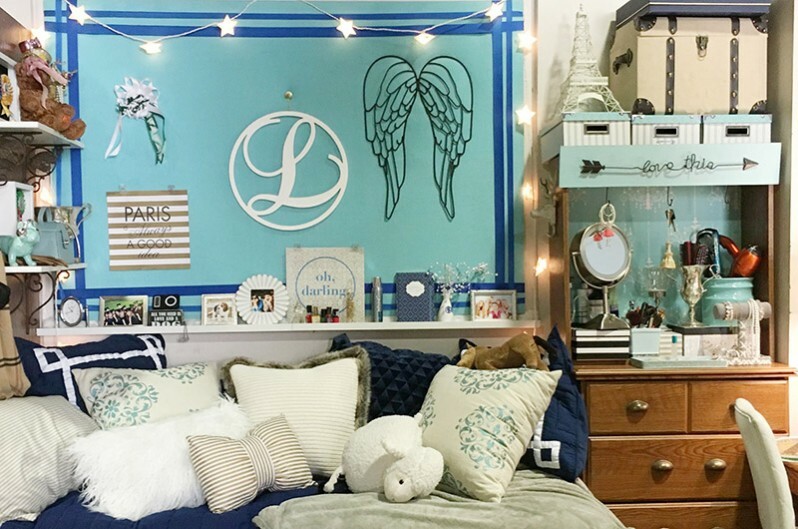 We had so much fun creating her wall of motivational posters, affirmations, handmade collages and fun items. 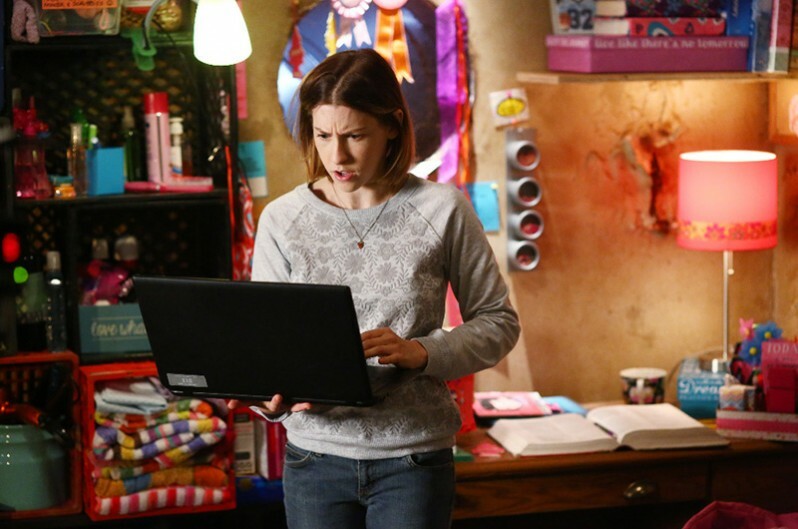 “Sue and Lexie’s apartment is the anti-Heck House. Atticus Shaffer. Photo © American Broadcasting Companies, Inc. All rights reserved. “Over nine seasons, we did myriad holidays! This is from last year’s Christmas episode. The Heck family takes a drive to look at the lights in a ‘Candycane Lane’ type neighborhood. (on the Warner Bros. Ranch backlot). I think we out-Griswolded them! 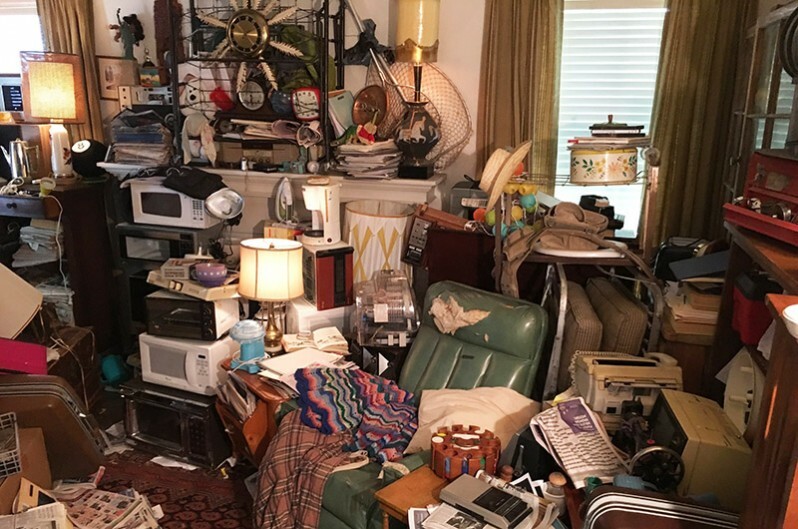 “Grandpa Big Mike is a Hoarder. Photo courtesy American Broadcasting Companies, Inc. All rights reserved. “Hutch, Axl's best friend, college roommate, partner in all things, has moved to Chicago and is doing well. Axl goes to visit. His immaturity is immediately evident. We decorated this set to evoke ENVY!!! Organized space. Definitely not a Heck apartment! 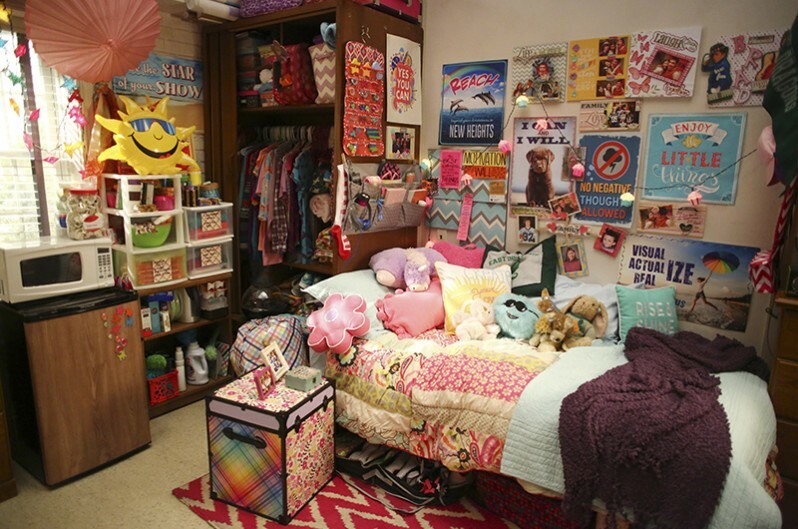 The college hangout was a repeat set over multiple seasons, which means it would be wrapped, packed, pieces stored, rental pieces returned with a “Hold” date for whatever episode it would appear in next. Then reverse the process and set it all up, making sure there are slight alterations to show different time frames. If it’s tasteful, you know it’s not the Heck’s house! 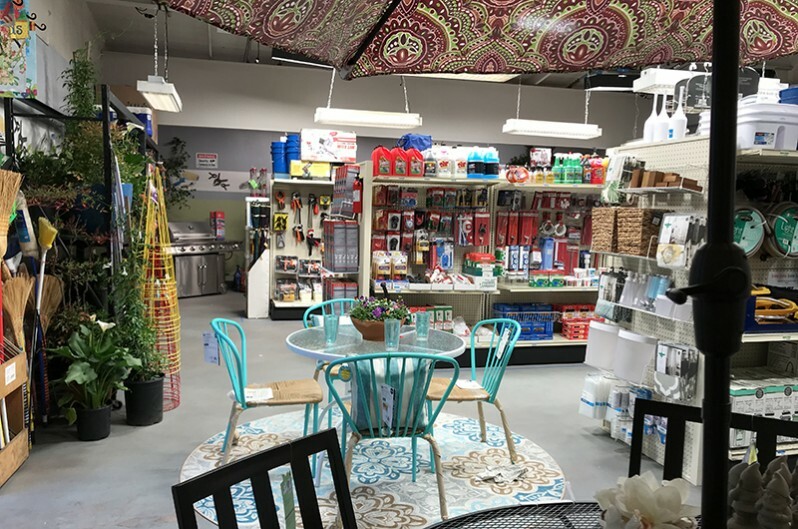 Two of the Orson, Indiana grocery stores where the frugal and practical Hecks shopped over the seasons were Yesterday’s Bounty and The Frugal Hoosier, particularly its “Eat It Today” section! 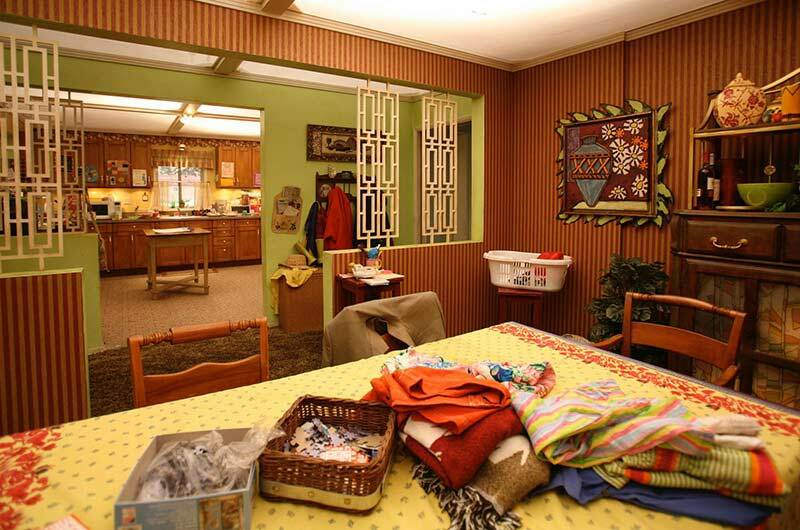 “This is one of the many, many sets that we put into one of the backlot houses at the Warner Bros. Ranch. This one happened to be in the LETHAL WEAPON house. 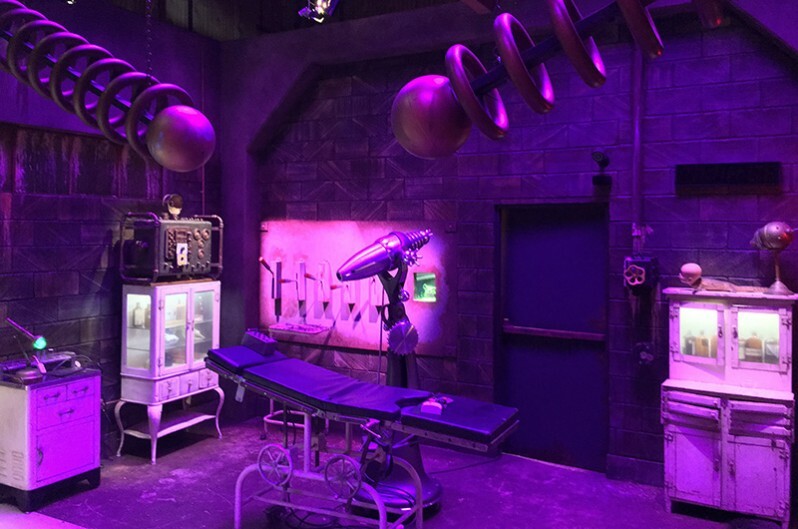 “This was our Escape Room last year. 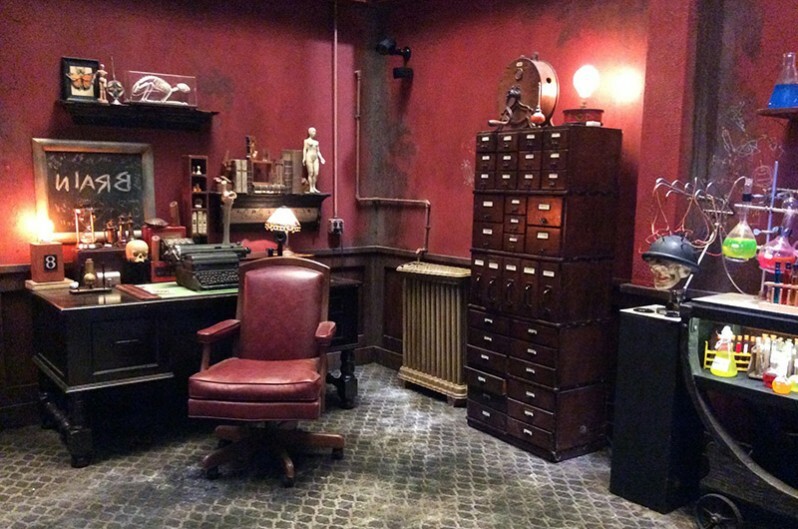 It may be Orson, Indiana, but we have an Escape Room! 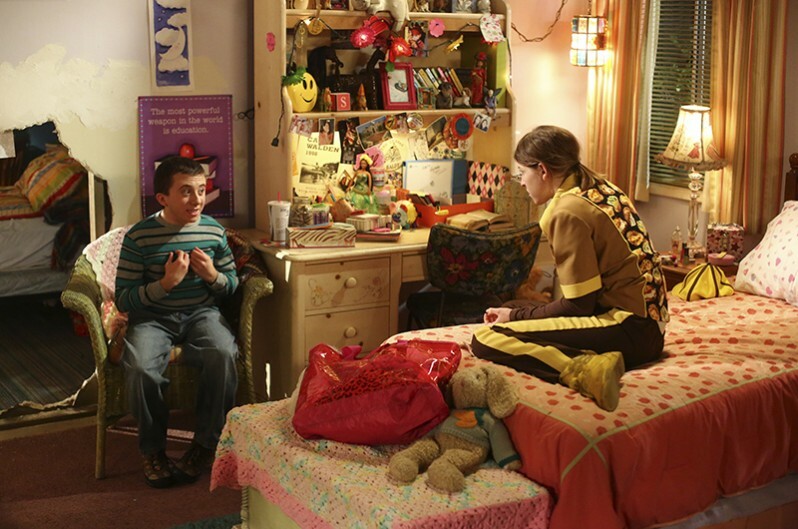 After nine full seasons, THE MIDDLE has just wrapped its final episode! Patricia Heaton stars in this warm and witty single-camera comedy about raising a family and lowering your expectations. 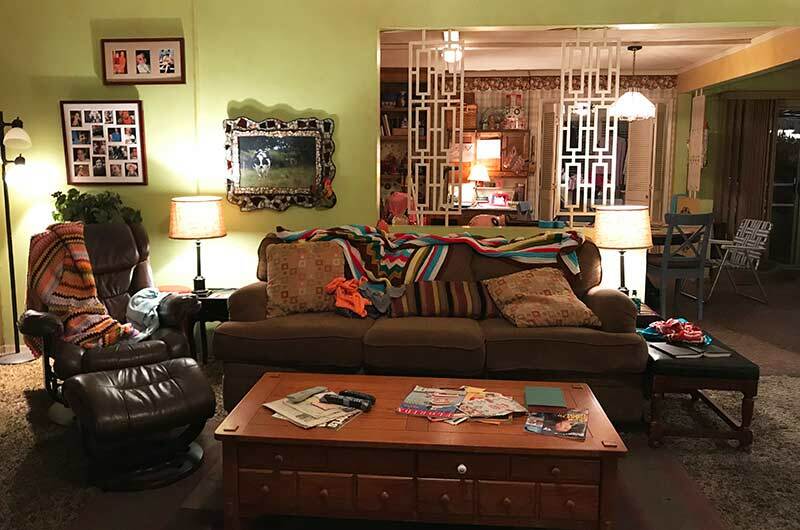 Middle-aged, middle class and living in the middle of the country in Orson, Indiana, Frankie Heck is a harried wife and mother of three who uses her wry wit and sense of humor to get her family through each day intact. 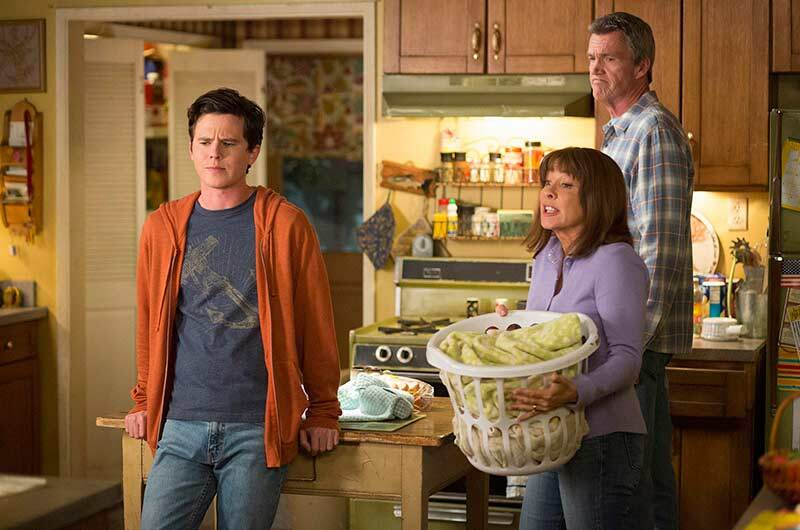 Frankie works as a dental assistant, and her unflappable husband Mike [Neil Flynn), manager at the local quarry, is her sardonic partner in the daily grind that is raising their average – yes, most definitely average – family. Balancing kids and work never really gets easier—it just gets different. 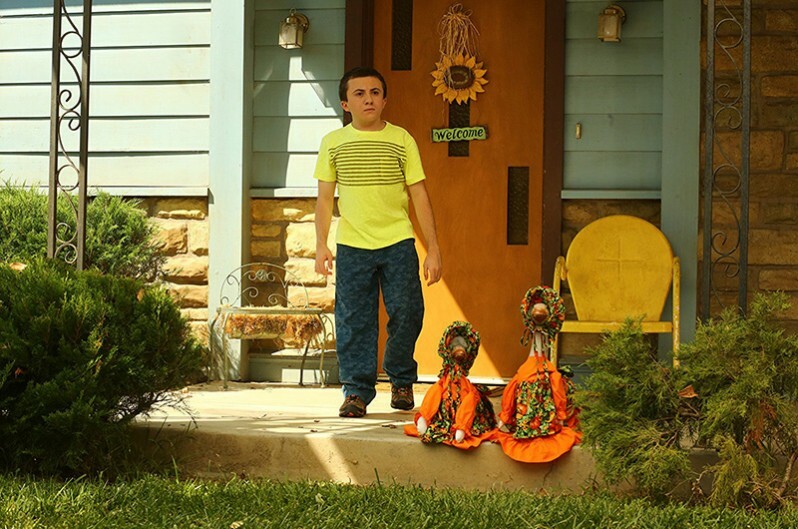 Brick [Atticus Shaffer], the quirky youngest son, now in high school, who reads constantly, whispers and whoops to himself, as well as unapologetically marches to the beat of his own drummer. 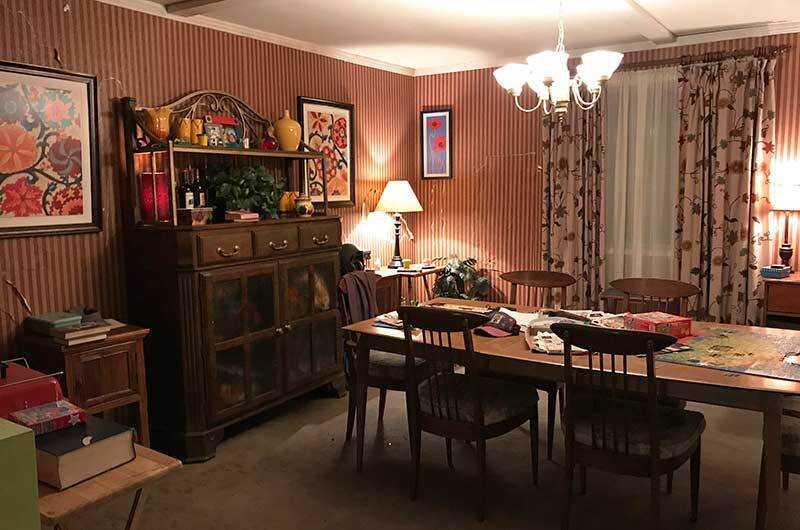 To ensure audiences stepped into the midst of a working class family in the middle of America, Set Decorator Julie Kaye Fanton SDSA, Production Designer Randy Ser and their teams stepped away from the sitcom norm of well-designed and decorated houses, and, instead, focused on the “real”. 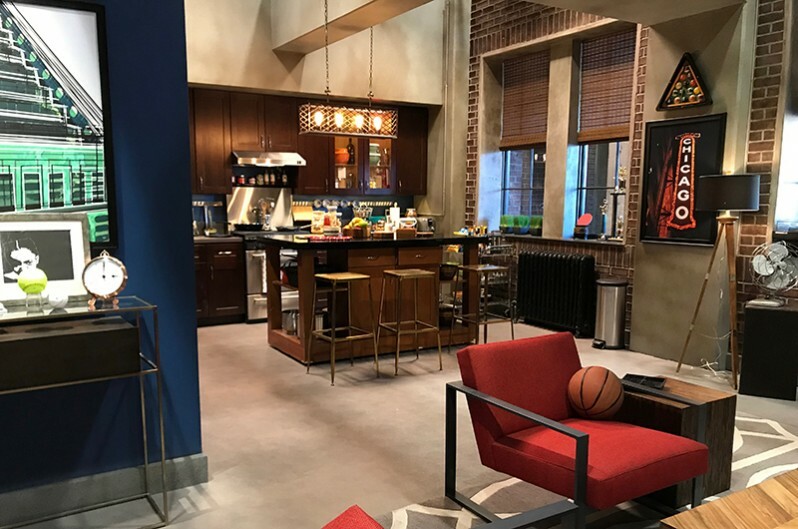 Looking over photos from the run of the show [See gallery above], Fanton takes us through the key Heck family home sets, and then we touch on some of the swing/additional sets that were recurring or which represent myriad others that came into play at some point in those over 200 episodes! “In a sitcom, the sofa is the center of the Universe. Our show is no exception. When looking at my set photos you might think I neglected to straighten up things before the photo was taken. 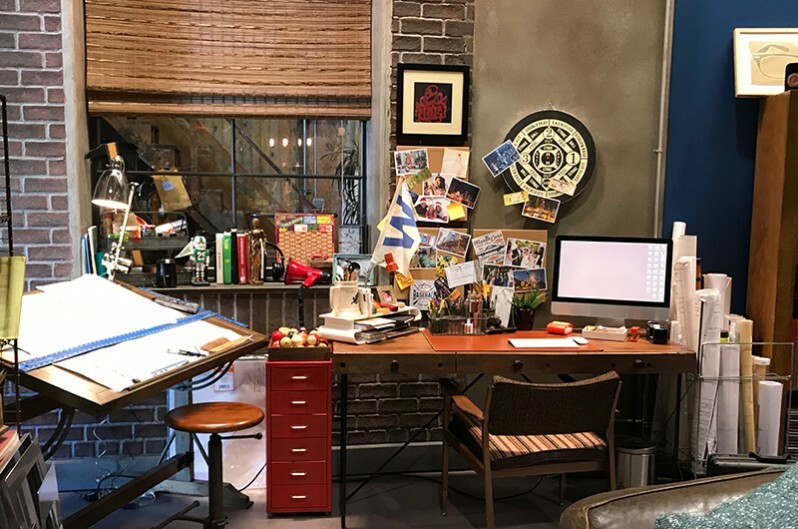 The truth, though, is that we actually meticulously policed our sets to make sure that our mess and clutter were in every shot. Woe to any day player who tried to tidy up! 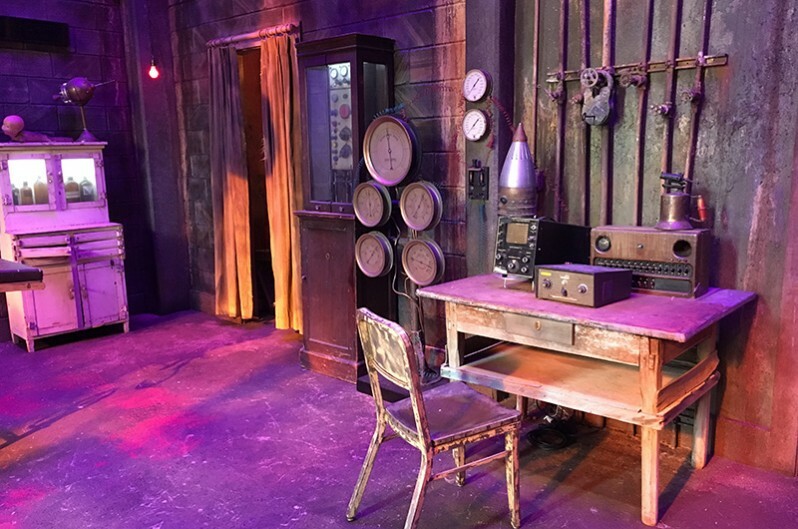 When we first created these sets, the show runners, Eileen Heisler and DeAnn Heline, gave me really good guidance on the look of the show. I think it was hard at first for me to accept that they really did want it to look that awful! It took a while to find artwork that clicked. The “Cow” which sits above left of the sofa was a total Hail Mary that I brought in after I felt I was running out of options. NAPOLEON DYNAMITE had been on my list of Midwest research viewings and…well…it had a cow in it. And I had always loved this piece by Anita Rosenberg. It is a photograph of a lovely Jersey Heifer in a field surrounded by this crazy mosaic frame. Fortunately, the show runners loved it. I used artwork by Anita all over the house. Her "Eat Sleep Fish" is also in the living room. You'll find it hanging under sconces holding fish in boxes. Through the divider screens you can see a Hoosier cabinet. I couldn’t resist--we are in Indiana! The colors throughout the house are extremely bold. You may not like them but you will certainly remember them! They make the house feel at the same time warm and suffocating. 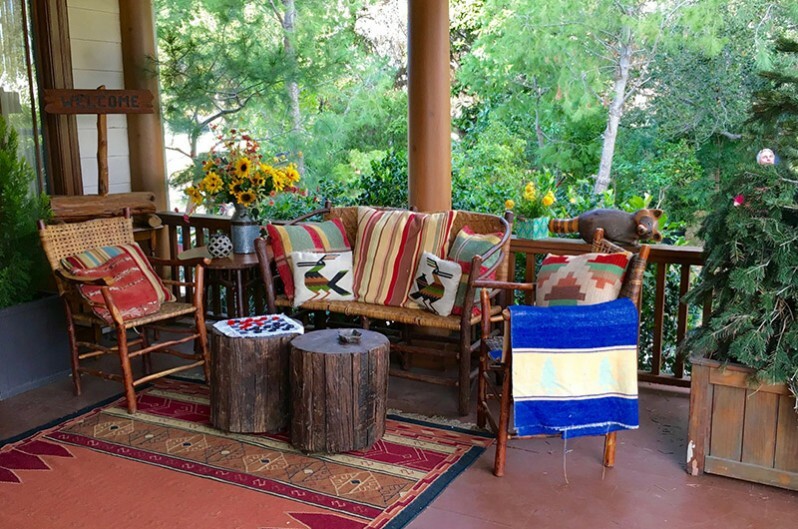 Color is woven intentionally like a lovely tapestry from walls to fabrics to accessories – no POPS of color here! “This is my favorite part of the Basic Set. [The basic set consists of the living room/dining room, entry, breakfast room, kitchen, back porch/laundry.] From there, you can see the entire living area. “The Heck’s dining table is always topped with a puzzle in progress, a pile of bills and junk mail. The carpet is stained. 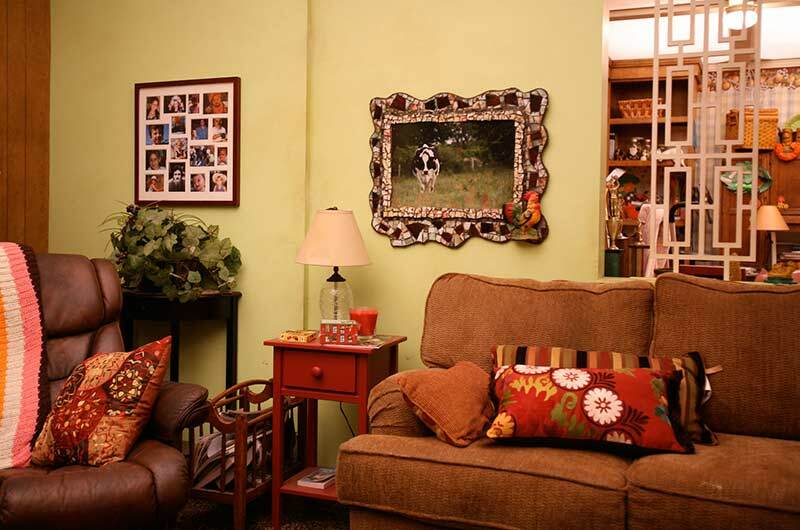 The striped wallpaper, from Astek Wallcovering, was partially ripped down in an episode in which Frankie unwisely decided to redecorate for visiting Marines, then she hurriedly repasted it and hung artwork, like the framed poppy print from the bathroom, to try to cover cracks. “This is a perfect example of my consciously making all the “wrong” choices. The Heck family lives amid chaos. Their house is total chaos. I used conflicting patterns and colors that are angry with each other to convey this. Things are unfinished and unmatched. The visuals provide a level of anxiety to every scene, which gives a good base for laughter. “Sue is everyone’s favorite character. All Sue colors are happy ones and have been so much fun to work with, from her pre-teens into college. Although Sue now lives with Lexie at college, she spends a ton of time at home on weekends and holidays. We took a good bit down from her walls when she left for college, but because it was Sue, there was plenty left! 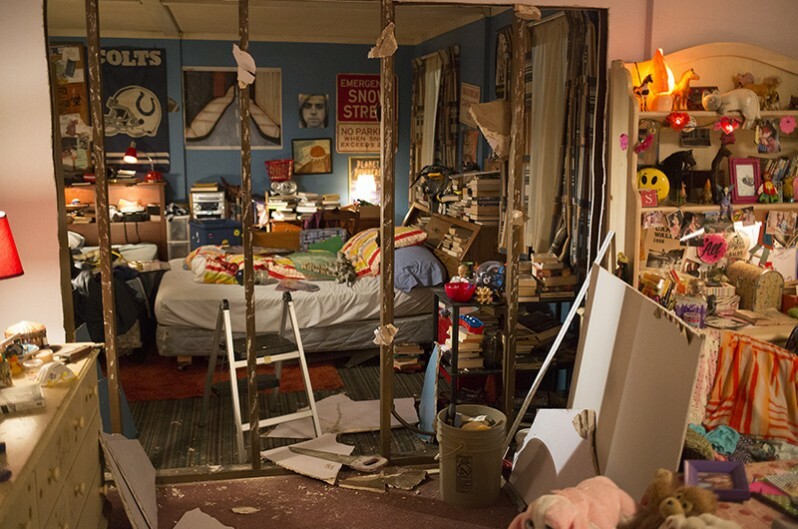 “My inspiration for Brick and Axl’s bedroom was the room of my son, Nick, who was leaving for college just as we began setting up THE MIDDLE. 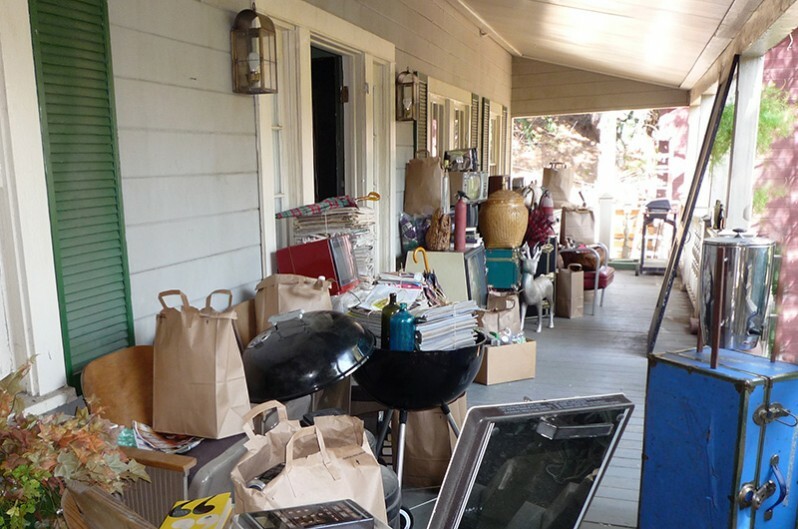 I literally emptied years of his messy junk into a truck (with his permission and a check), and started layering. That is some handy verisimilitude! 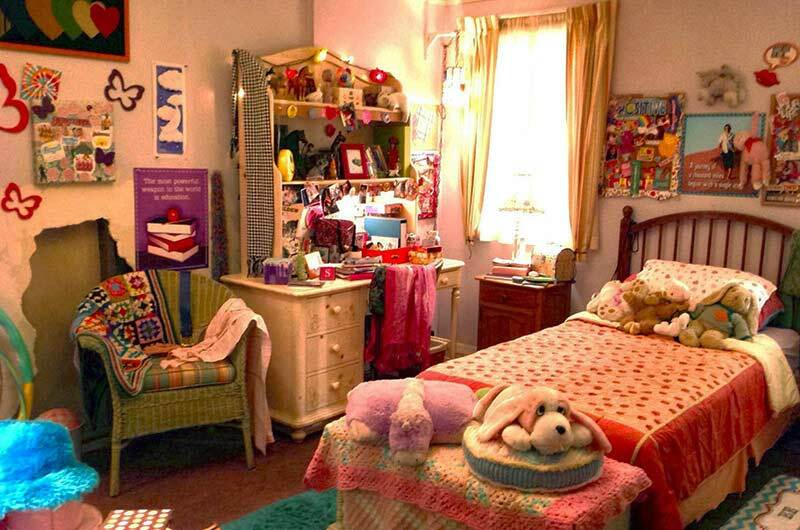 Sometimes the photos make me cringe because the decoration is so awful! That amateurish slapdash look is exactly what I am trying to do, though! When things look too nice, we mess them up. It has been so affirming to see comments from folks across the country over the years saying that the Heck house looks real to them. Over 200 episodes, basically 24 per season, Fanton, Ser and their teams have not only brought the Heck family’s environment to life, but their community as well. 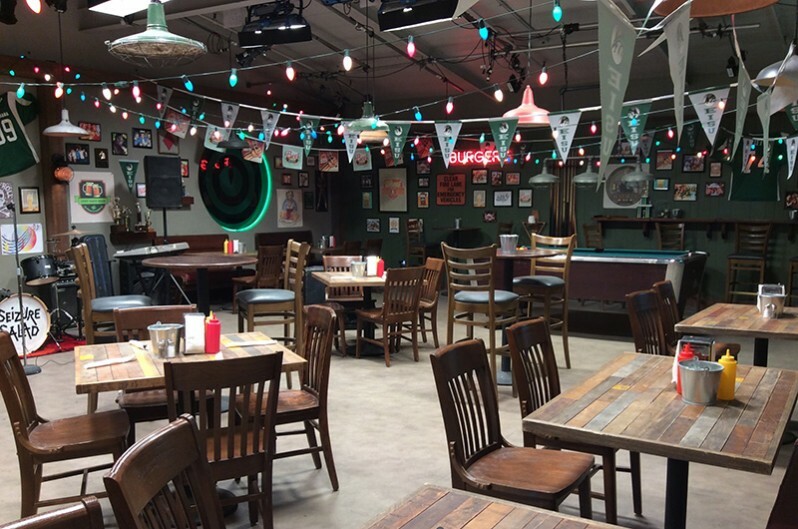 Every episode has additional sets ranging from the orthodontist office where Frankie works to the “nicer” homes of neighbors and friends, including the condo that Lexie’s parents let her and Sue have for the remainder of college, to the affordable grocery stores and supermarkets The Frugal Hoosier and Yesterday's Bounty...to the college hangout Gumford Bar & Grill...and multiple restaurants and bars and stores, schools events...and holidays! 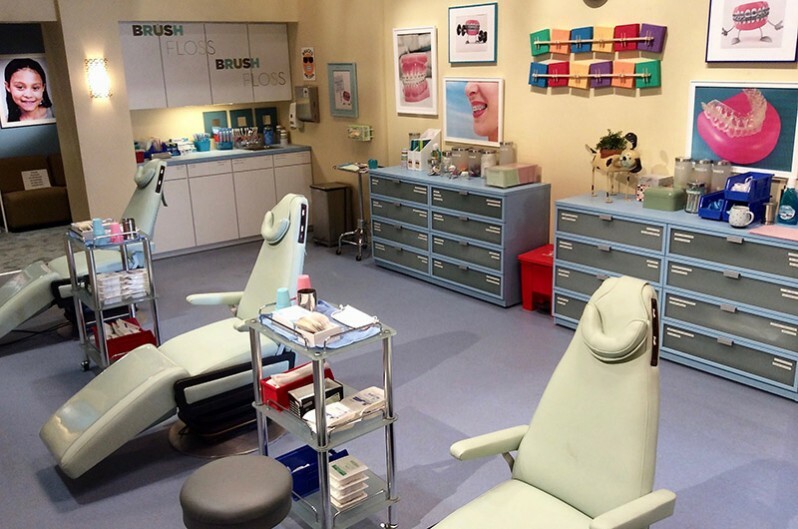 Please see the gallery above for examples, but even with a large gallery it’s impossible to represent the number of additional sets designed, decorated, dressed week after week, episode after episode, while ensuring that the permanent sets were freshened, always evolving with each episode’s storyline. Fanton notes, “I have such an amazing crew. 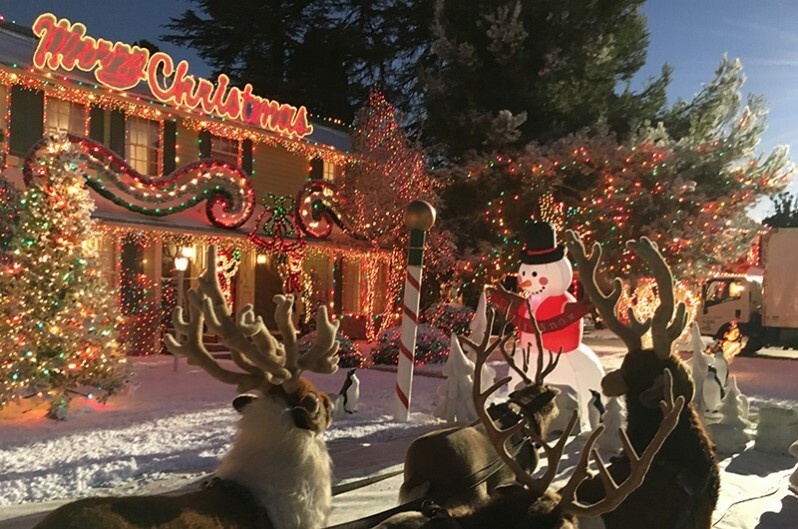 Because we never left the Warner Bros. Ranch backlot, we created every set from scratch. 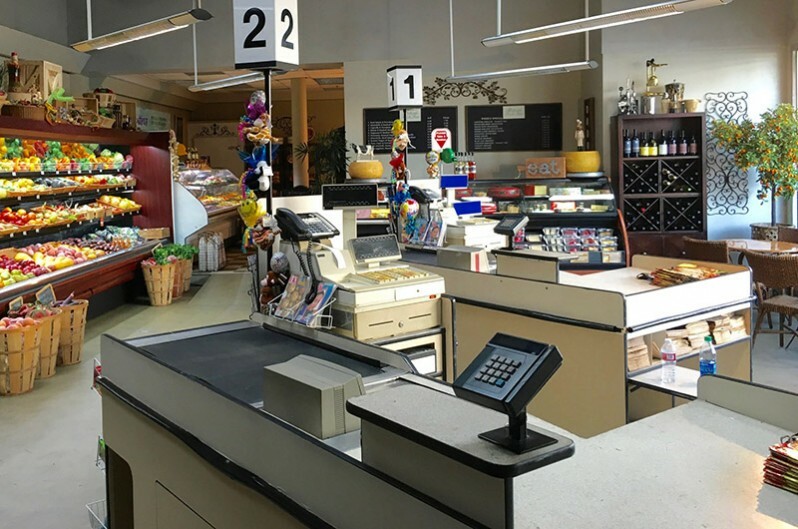 When you see a store or a restaurant or a convention or well…anything...we created it! 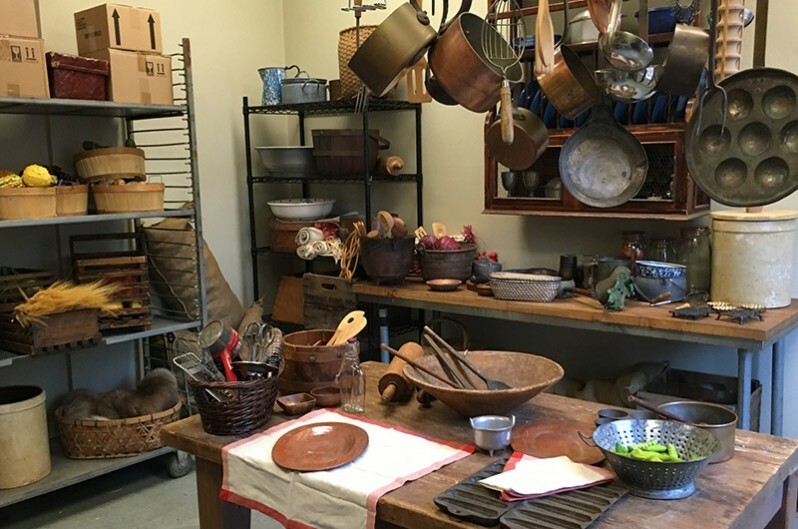 This requires a large crew of specialized set dressers—two drapers, a former greensman, several who are good at arts and crafts and some whose talents run specifically to keeping us and our stock organized. We hired anywhere between 12 and 30 set dressers on an episode. My leadman Buddy Ray Reynolds-Maichel (who took over after husband, Bud Fanton retired) does an expert job of managing the madness with grace. My buyers, Chris Champagne and Bethany Barton are especially fabulous, smart and talented, and I depended on them for so much. All the crewmembers, though, are professional, dependable, creative and fun to be around. 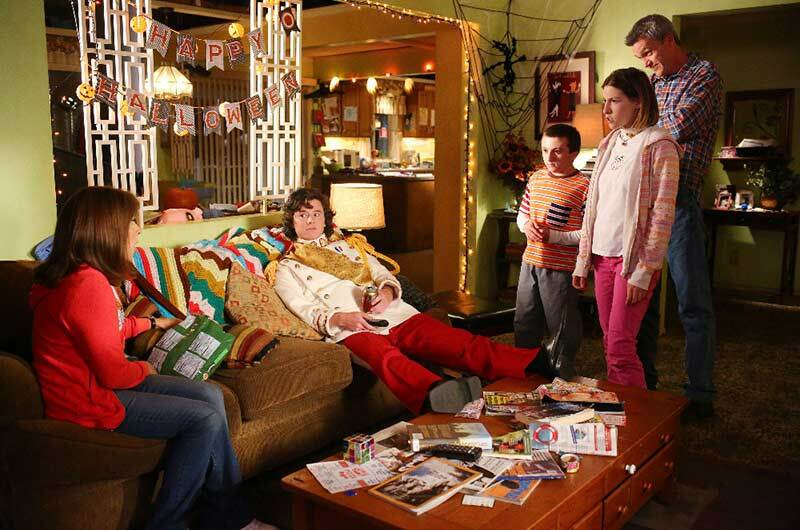 In the final episode, Sue tells her family that she loves being the middle child, “The middle is the safest place to be. You've got love on both sides of you." Frankie is overcome with emotion as the family drives Axl to his new home. "It’s over. The five of us are never going to be together like this again. It's the end of an era. It's never going to be the same again." Mike sagely replies, "That's the way it's supposed to be."